Would you like to know when Oppo F9 Pro smartphone will launch and release etc.? If yes, here you go. Oppo will launch its Oppo F9 Pro smartphone on Aug 21, 2018. The phone might come with narrow notch with attractive colors including Sunrise red color, as its photos available online. Not only this, Oppo F9 Pro smartphone may come with high-end specification along with some new features. The phone design is pretty nice. The brand has released some of the finest smartphones very recently. The Oppo F7, Oppo FindX, Oppo A3s etc. and the latest one is upcoming one. The brand has created different history track in mobile market. It has unique value customer across globe. The brand has also its sub-brand Realme to give the best devices to its new customers. The phone might be powered by Mediatek Helio P60 processor and paired with either 4GB or 6GB of RAM variants. The phone may come with 6.3 inches display and possibly have enough pixels to give the best resolution result. The F9 Pro from Oppo may run with the latest Android Oreo or Pie operating system beside its own UI Color OS. Let us see how it goes. The rest of the specification and feature plus price are mentioned below. This could be one of the best smartphones in 2018 possibly best selling smartphone as well. Time will tell this. You may get the best deal of the phone too. 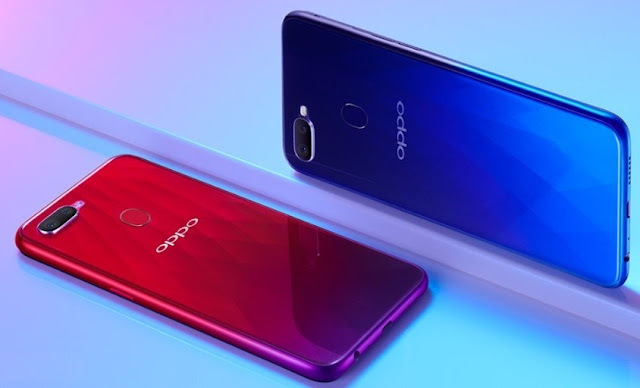 Pleae find Oppo F9 specs and price detail. Oppo F9 Pro price: Approx INR 21999 (yet to be confirmed). Tips: The new design device has enough features to grab, so, wait and get it.